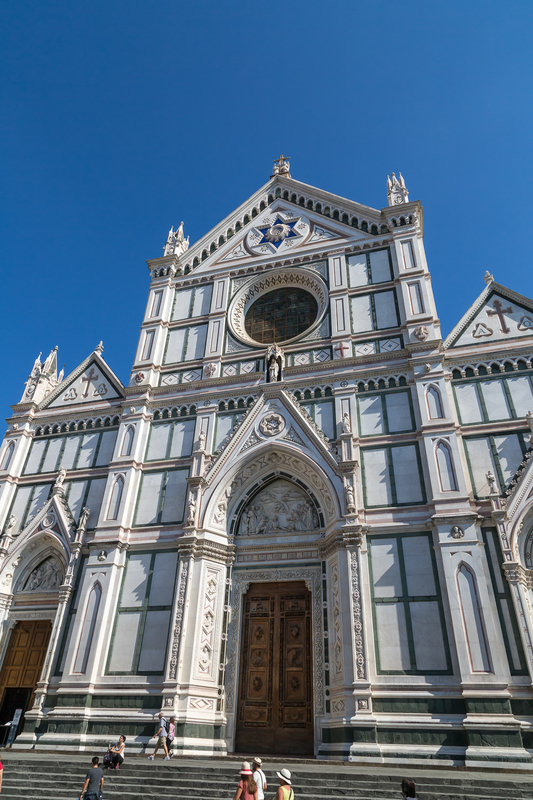 Just a month ago Kongo visited Tuscany and the two famous cities of Florence and Pisa. 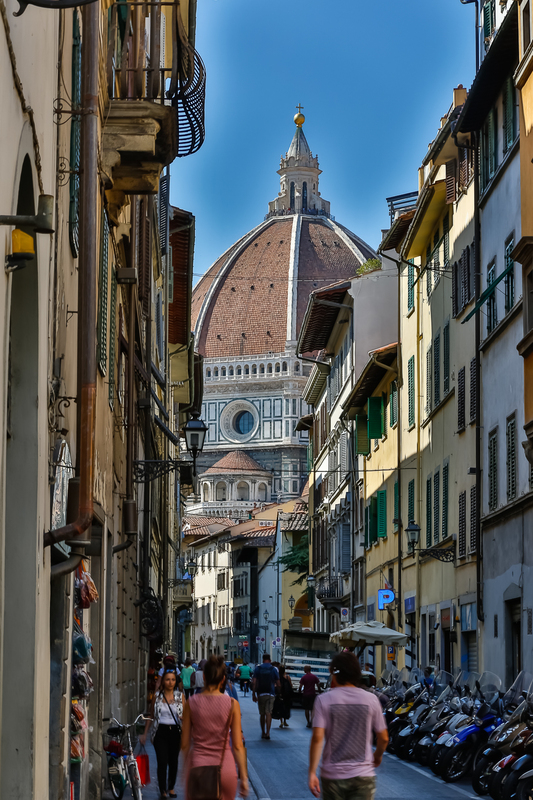 Florence is one of those cities that just knocks your socks off. 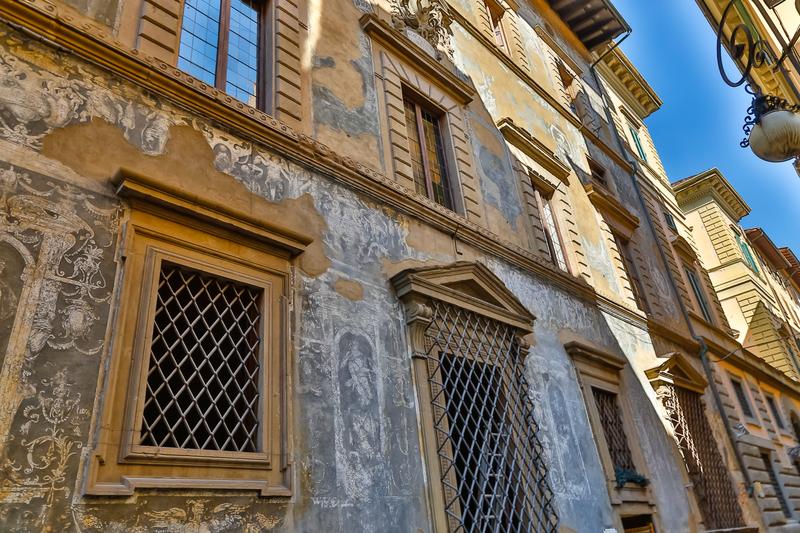 Everywhere you are reminded of history, architecture, and the birth of the Renaissance. There’s also the food and the wine. 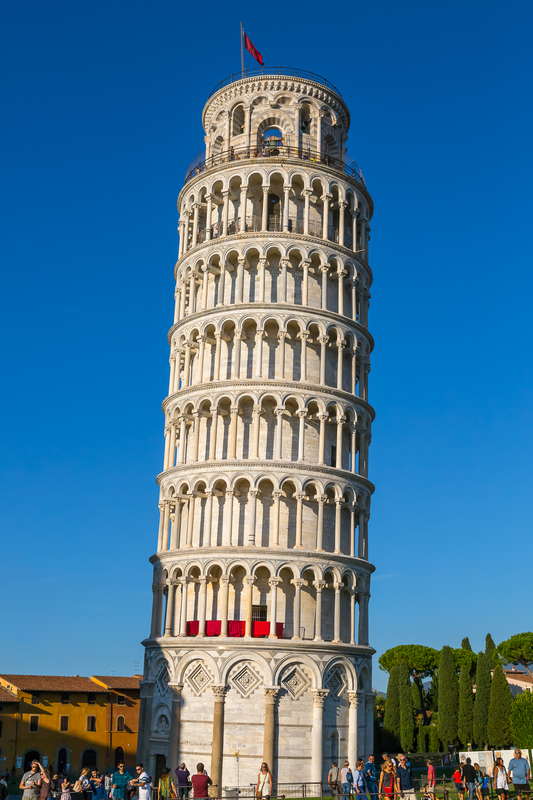 Pisa has, well, that leaning tower. 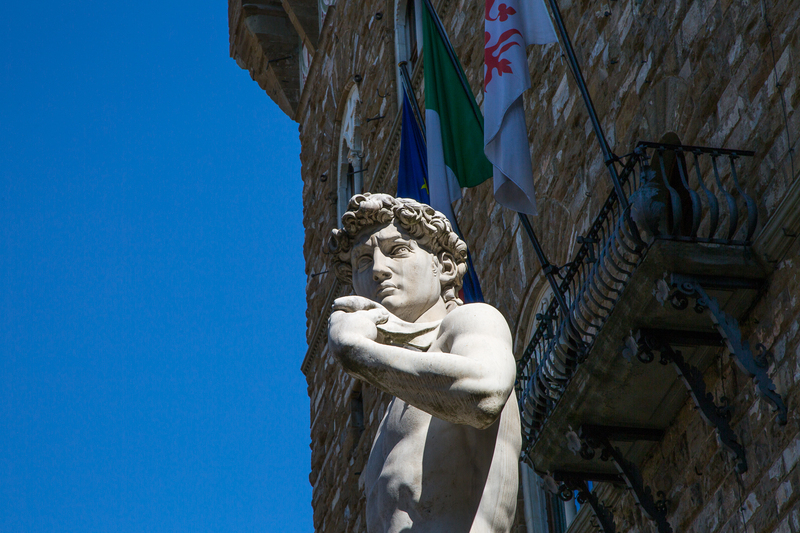 After docking at the port city of Livorno, Kongo joined his tour group for a ride across the Tuscan countryside to Florence. 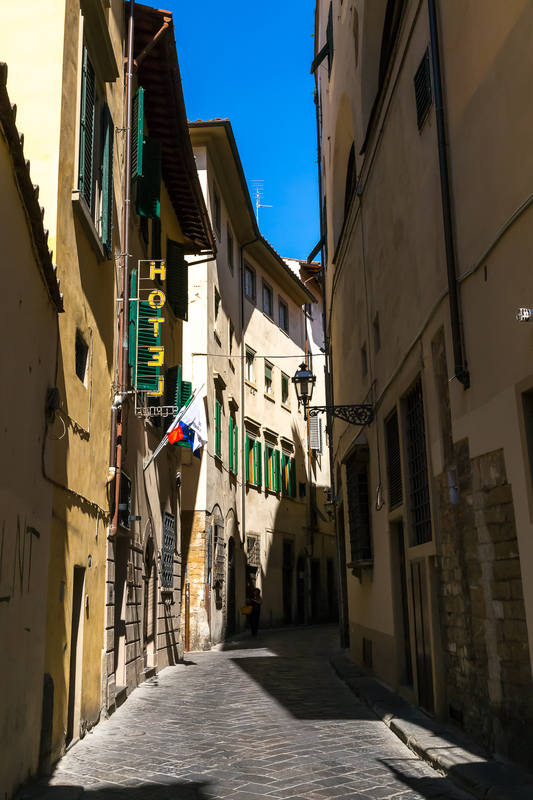 The remarkable thing about Tuscany that is that it looked a lot like Southern California, that is without the freeways and all the historic buildings and leaning towers. The country had the same rolling brown hills, the same vegetation, and the same plants. 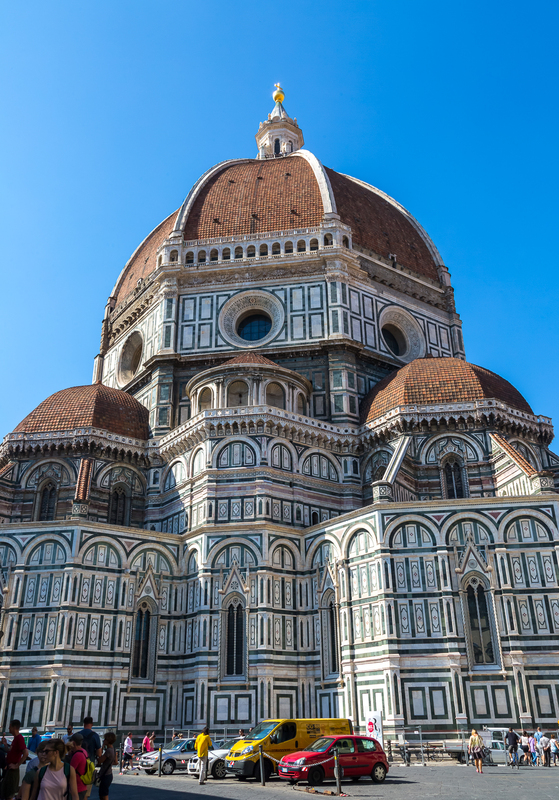 Like a couple of million tourists before him, the monkey fell in love with the beautiful Cathedral of St. Mary of the Flower located in the Piazza Duomo. 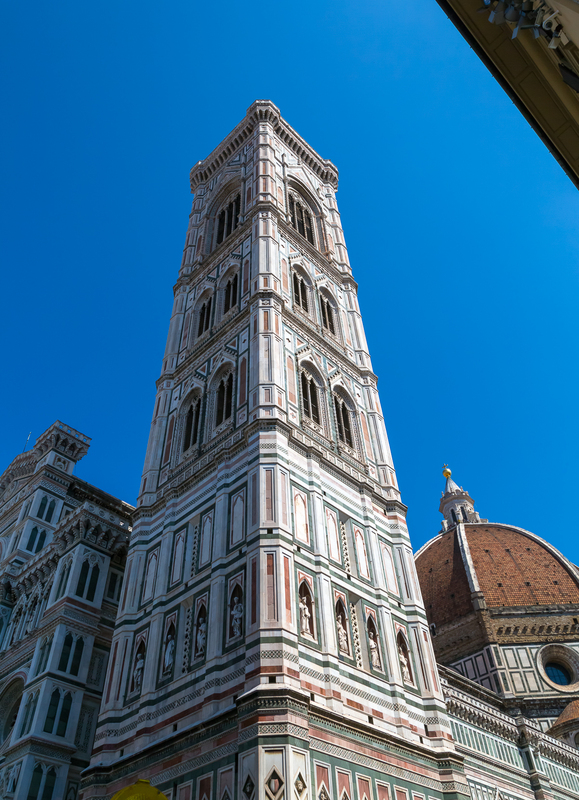 Construction on the building began in 1296 and wasn’t completed until 1436. Besides the beauty and majesty of the structure, the dome is notable because it is one of the most complex domes ever built. 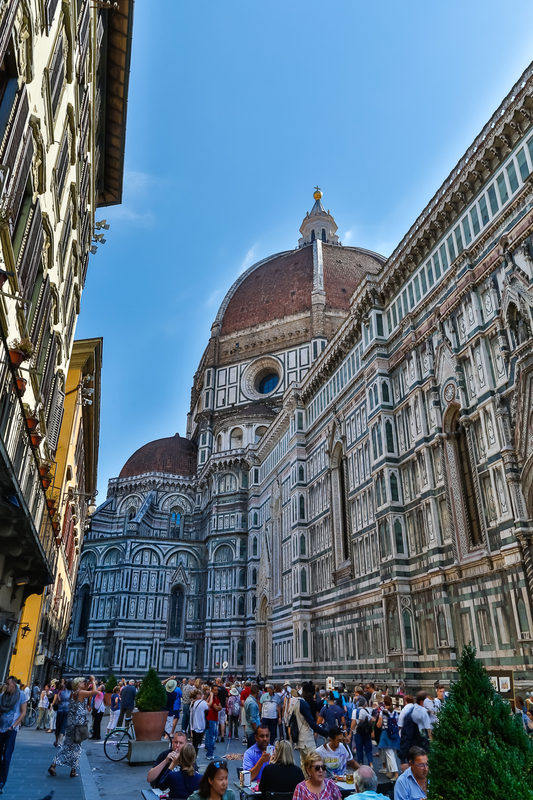 The architect rejected the idea of flying buttresses and became one of the first steps in moving away from medieval gothic to Renaissance architecture. 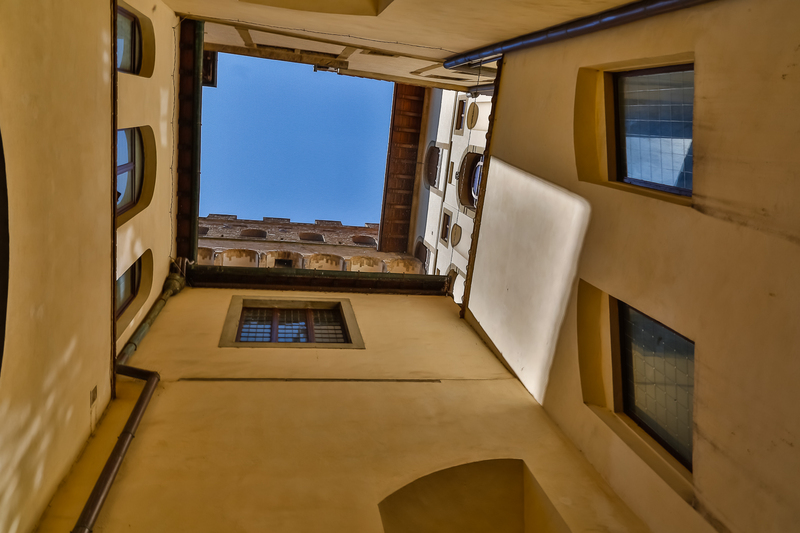 Walking through the historic old part of Florence causes visitors to get a sore neck because they are always looking up at the soaring buildings surrounding them everywhere. 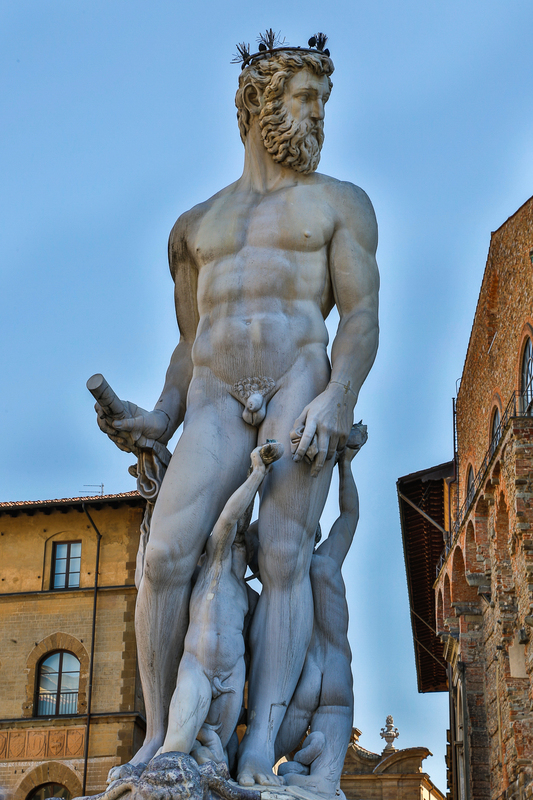 Naturally, there are a lot of tourists in Florence. They’re everywhere and they are all walking about with their head tilted back. Mrs. Kongo and the monkey finally found a quiet side street without surging crowds and enjoyed some wonderful pasta and a bottle of Tuscan wine. 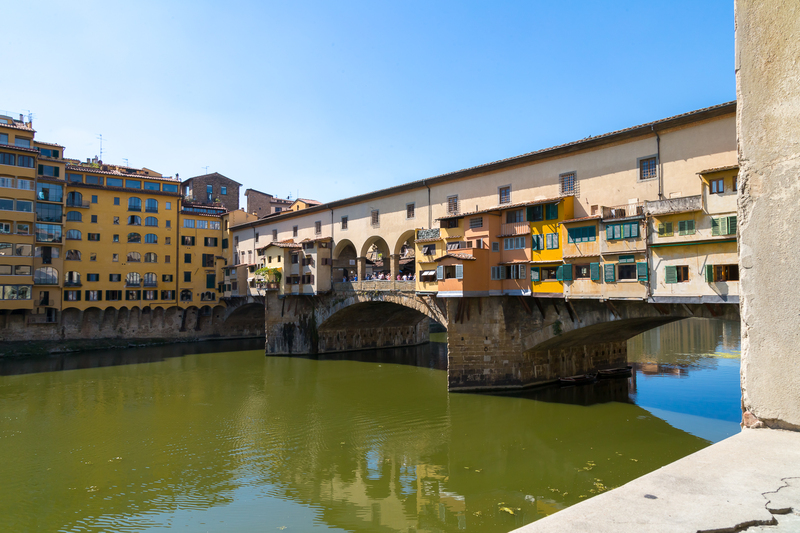 Florence straddles the Arno River and this ancient bridge, the Ponte Vecchio, is the oldest bridge in the city. It was built sometime in the 900s and was the only bridge in Florence that the Germans did not destroy when they retreated in front of Allied armies during World War II. Like in ancient times, there are still shops that line either side of the bridge. Where there used to be butcher shops and food stalls, today there are fancy jewelry and designer clothes stores. 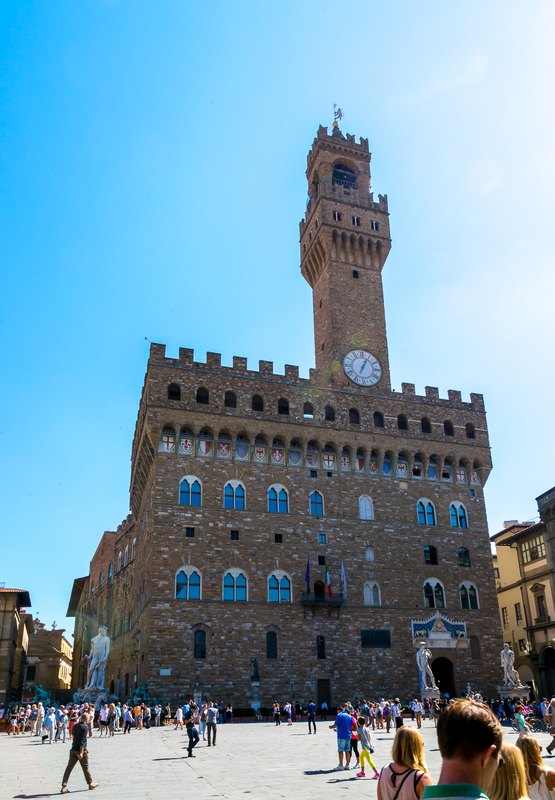 The Palazzo Vecchio was built shortly after 1300 and a copy of Michelangelo’s famous David stands at the entrance. (Just like the Las Vegas at the Venetian). 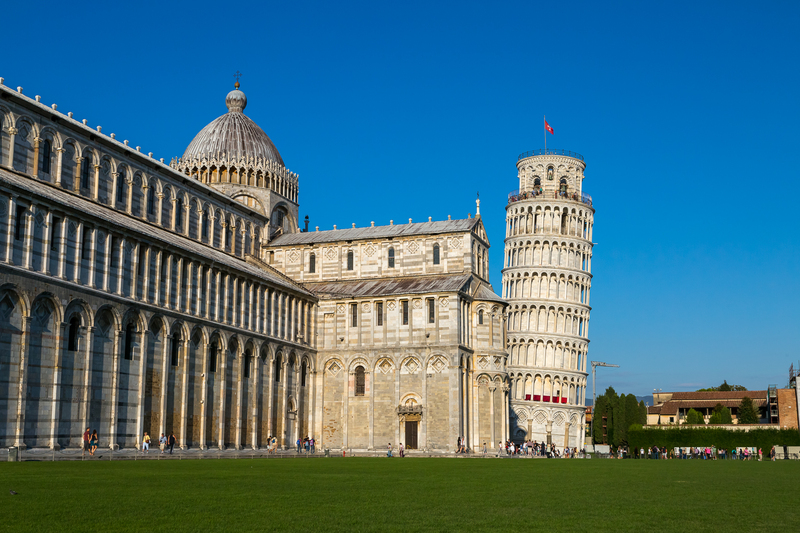 After most of the day in Florence, it was back to the Tuscan countryside to visit Pisa, home of the famous leaning tower. The tower really does look as if it about to fall over. Early on in the construction of the bell tower for the adjacent cathedral the workers realized that it was leaning. But they just kept on building and the tower kept on leaning. The architects tried to minimize the effect of the tilt by making some of the posts holding up the different stories of various sizes to create an optical illusion of level. Obviously it didn’t work but this is the type of home improvement the monkey would try himself when one of his projects wasn’t coming our right. It wasn’t until the 20th and 21st century that real certified structural engineers got together and shored up the foundation to stop the effects of gravity and save some hapless tourist from having the tower fall on her. Now, we all know this is such a kitschy thing to do but when you are there…well you just have to do it. You know what I’m talking about, right? 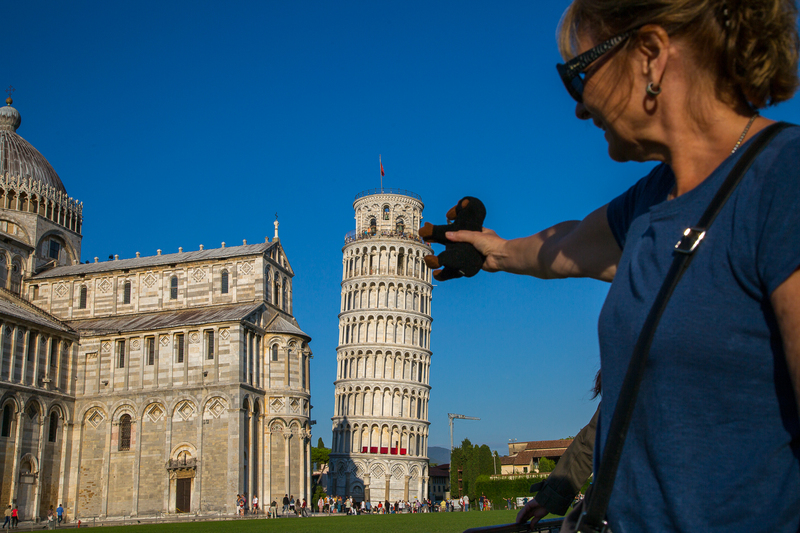 Positioning yourself for a photo so that it looks like you’re actually holding up the tower. 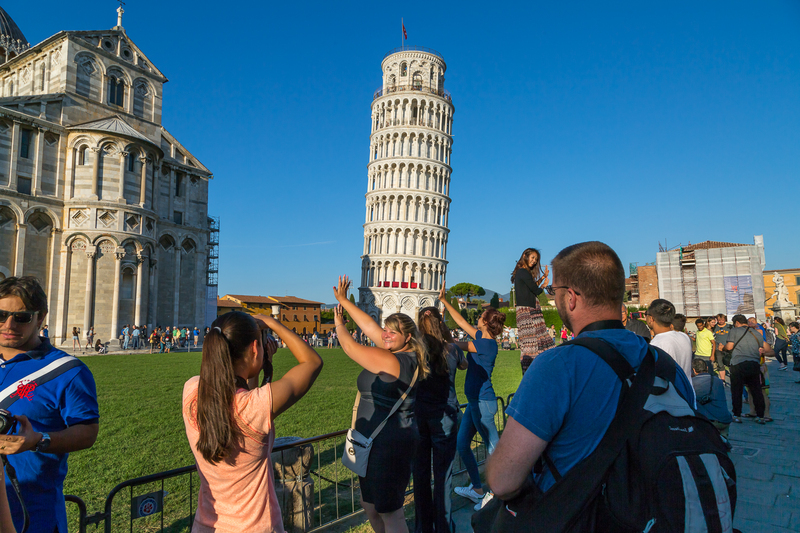 Hundreds and hundreds of tourists were crowding together to hold up the Leaning Tower of Pisa. They stood on the fence, they crouched. The used one hand and two hands. Sometimes the grimaced and put their shoulders into it. Everyone wanted their picture taken holding up the tower. Mrs. Kongo loves this type of thing. Ever since she held up the world in Ecuador (see this related post) Mrs. Kongo has been searching for things to hold up. 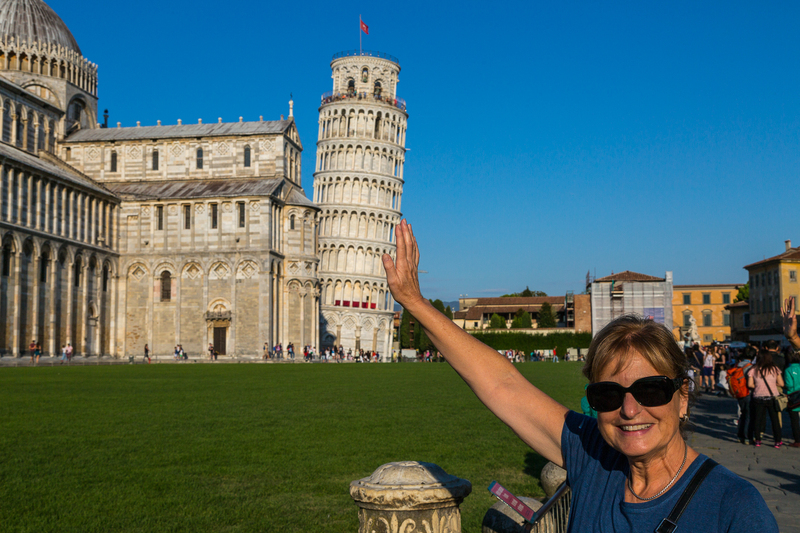 She couldn’t resist holding up the Leaning Tower of Pisa. Naturally, Kongo had to do it too but he actually turned out looking like something out of a King Kong movie instead of just holding the tower up. Really nice pictures! Especially lower the tower, church, and statue. Scott…We have so enjoyed your Travel Monkey post….you rascal monkey! Soooo darn funny! Millie, thanks so much. Looking forward to seeing you soon. Great Post! Great Images! Thnks!